Ms. Lucy Hamilton and her son, Angus Hamilton are one of the first and the most influential friends since we started the learning centre. She brought some really great books for our students and teachers from Australia. They are more than 150 books. Also she brought us a laptop, tennis and cricket balls. We are left humbled and really grateful to her thoughts for our learning centre. 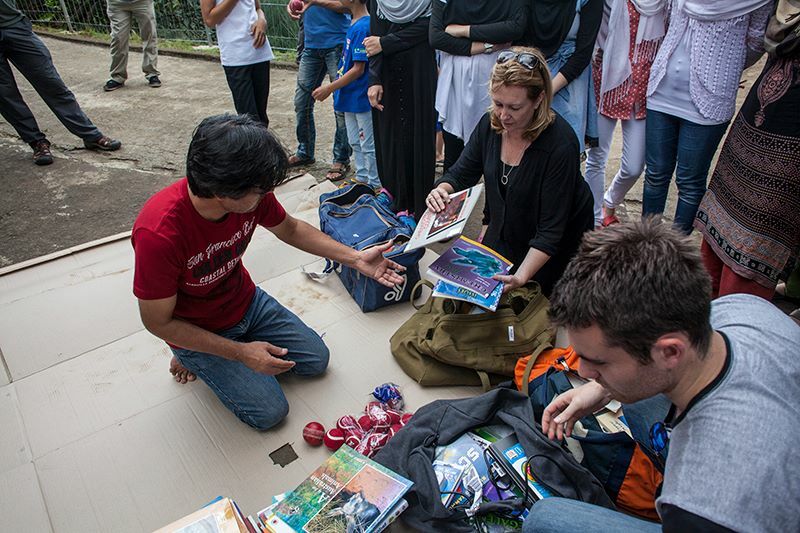 When Lucy and Angus came here in Cisarua, in late August 2014, she also brought us hundreds of books from Australia. We offer our heartfelt gratitude for her support. She is one of those instrumental personalities who ignite our passion to provide education for refugees in Cisarua. A big-big thanks Ms. Lucy Hamilton and Angus Hamilton.